John Minton (1917-1957) was a brilliant English artist and contemporary of Francis Bacon and Lucian Freud. He was one of the foremost English painters of the 1940’s and 50’s whose influences include De Chirico and the surrealists as well as Picasso and Matisse. He suffered much self-doubt and his career was described as meteoric in both its rise and its fall. 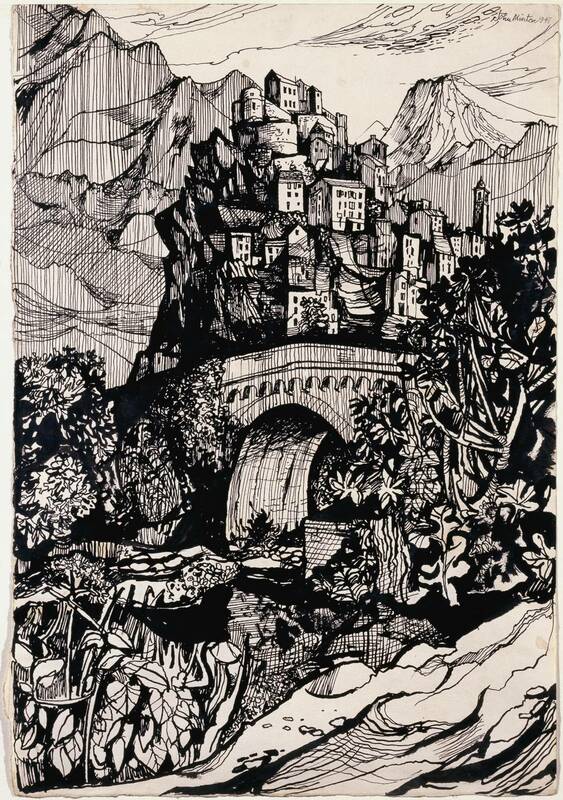 John Minton studied art at the St. John’s Wood Art Schools, then moved to Paris in 1939 and also visited the atmospheric ruined town of Les Baux-de-Provence. Back in London he registered as a conscientious objector in the early years of the Second World War. As a gay man at a time when homosexual activity was criminal he was able to experience some relative sexual freedom in wartime London while charting the urban and psychological devastation of the capital at the time. He joined the Army’s Pioneer Corps in 1941 and was discharged in 1943 on grounds of ill-health. He started teaching at Camberwell School of Arts and Crafts and was much influenced by the famous Picasso and Matisse exhibition at the Victoria & Albert Museum in 1945-46. He was drawn to industrial and docklands scenes and gained a reputation as an ‘urban romantic’. He moved to the Central School of Arts and Design in 1946 and then to the Royal College of Art in 1949. His wide ranging contribution to illustration and stage design contains beautiful and memorable work; for the Festival of Britain, London Transport and Ealing Studios. He designed textiles, wallpapers, posters, book illustrations and the costumes and scenery for John Gielgud’s 1942 production of Macbeth. His covers for Elizabeth David’s pioneering cookery books are instantly recognisable. In 1947, a year before Dorothy Carrington and funded by the publisher John Lehmann he travelled to Corsica with the poet Alan Ross to work on a travel book Time Was Away – A Notebook in Corsica. This contributed to post-war Britain’s cultural rediscovery of the Mediterranean which was accompanied by a culinary rediscovery championed by Elizabeth David (also published by John Lehmann). 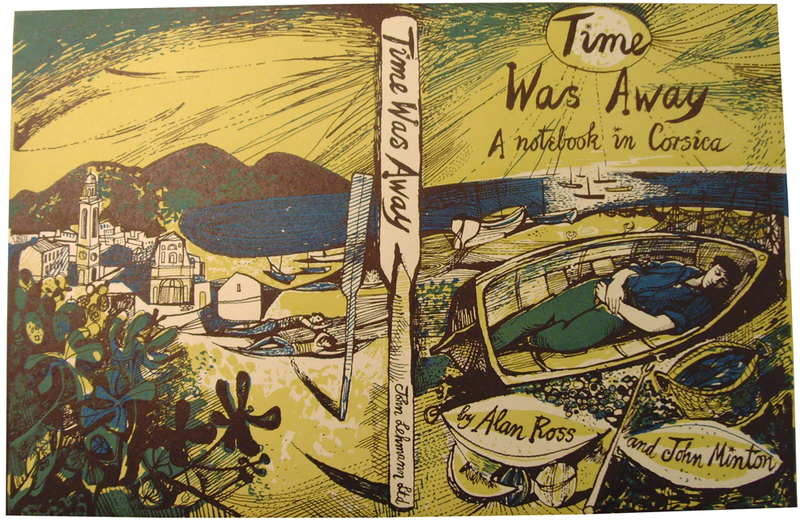 From Time Was Away by Alan Ross, Illustrated by John Minton. In Corte, Corsica – the island’s historic capital is drawn as a mountain village in a composition which squeezes everything in and captures the essence of the place, from the river to the citadel and the mountains all of which seem to be supported by a single arch of the Punte Vecchiu bridge over the Tavignanu river. The sketchy rough-drawn map which was the frontispiece of Time Was Away is somehow infused with the the blazing sun and the smell of the sea. Troubled by drink and relationship problems Minton turned towards narrative work. He was highly critical of the growing abstract movement which he felt was killing the skill of observation. He mocked abstraction and submitted at least one abstract painting to a group show under a false name and had it accepted. He later satirised the abstract artist as ‘Grisby Flatpattern’ in a magazine article. Sadly, his own search for order was not successful and he took his own life by overdosing on sleeping pills at his London home in 1957. His haunting unfinished painting ‘The Death of James Dean’ can be seen at Tate Britain. 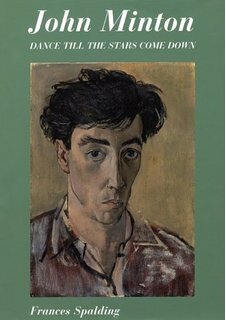 The definitive biography of John Minton is Dance Till the Stars Come Down by Frances Spalding. 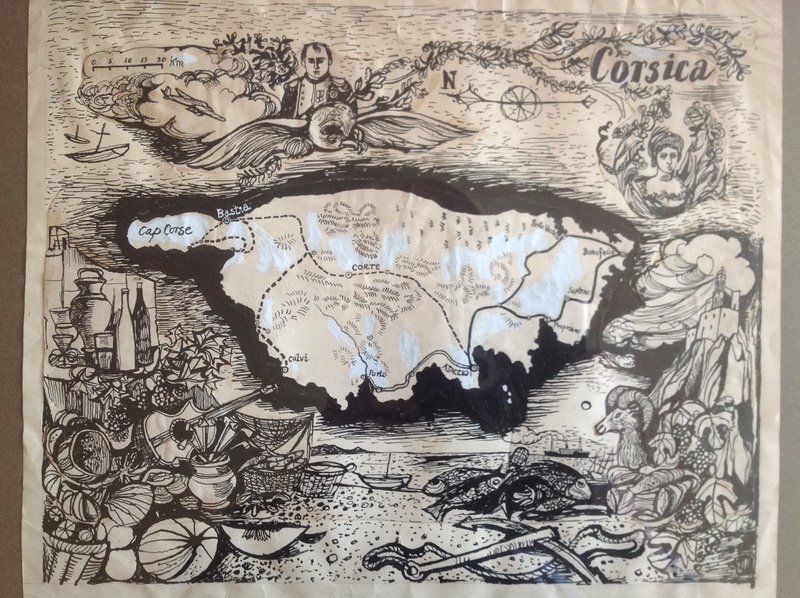 This entry was posted in Culture and tagged Corsica, John Minton. Bookmark the permalink. 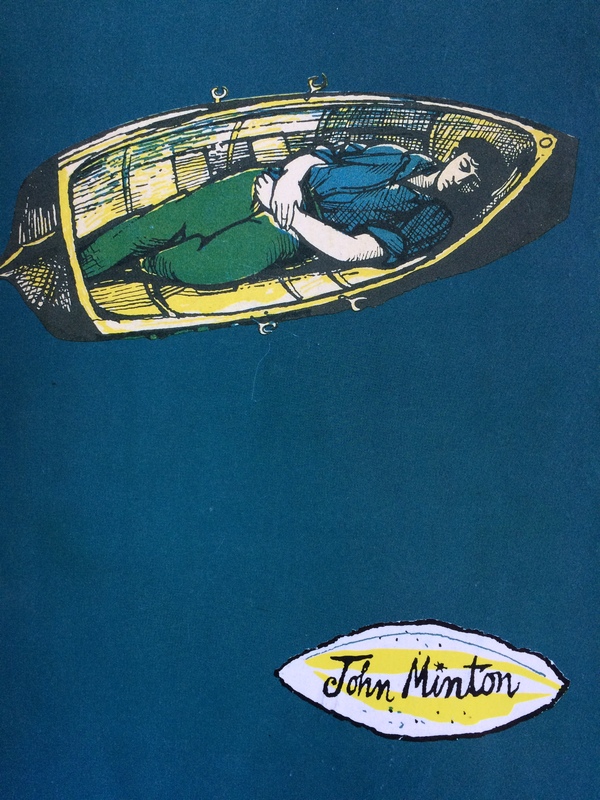 Le travail sur la Corse de l’excellent John Minton a été en tous points remarquable – l’un des meilleurs à ce jour, selon moi. Un trait dense et précis, la retenue de la couleur, pour maîtriser des paysages souvent imposants, où se calent l’architecture et des plantes bien spécifiques – regards larges et, pourtant, détails. Et aussi la proximité de personnages bien présents : des croquis à portée de voix. Et cette impression de suspens qui nous force à être attentif. De la part de Paul D-A (cf. l’une de vos notes de l’été dernier – Pruverbii è detti…). Thanks to you. Merci Paul, et merci aussi pour votre excellent ouvrage que j’ai cite (sans votre permission – avec mes excuses) pour que ces proverbes trouvent un nouveau public anglophone. Heureuse initiative… Par le biais de ces proverbes et de leur tradition, la compagnie de Joseph Conrad, Pasquale Paoli, Sénèque ou John Minton me convient parfaitement.